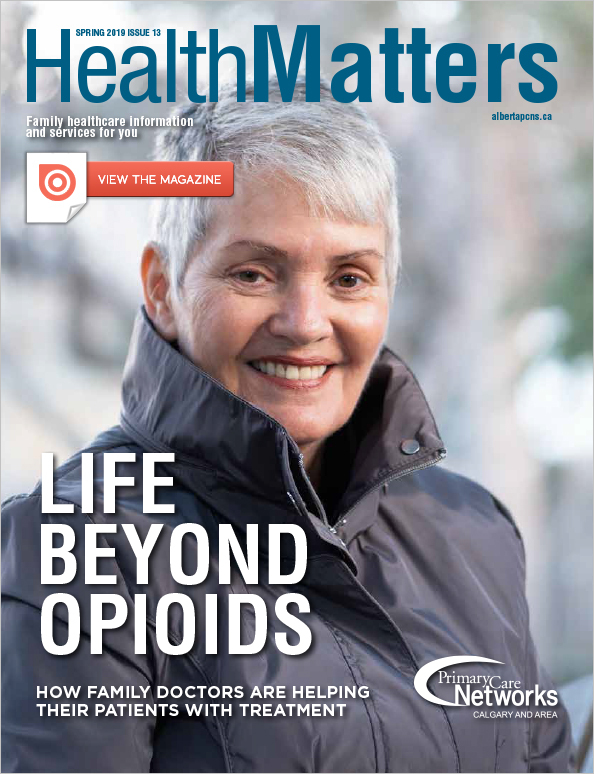 Health Matters is produced in collaboration with other Calgary and area PCNs through a partnership with Alberta Health Services’ Apple magazine. This publication enables patients of our member physicians to learn more about the range of services and programs that are available at no cost. We welcome your feedback and suggestions on the articles and invite you to share your own experiences by emailing us at communications@cwcpcn.com.